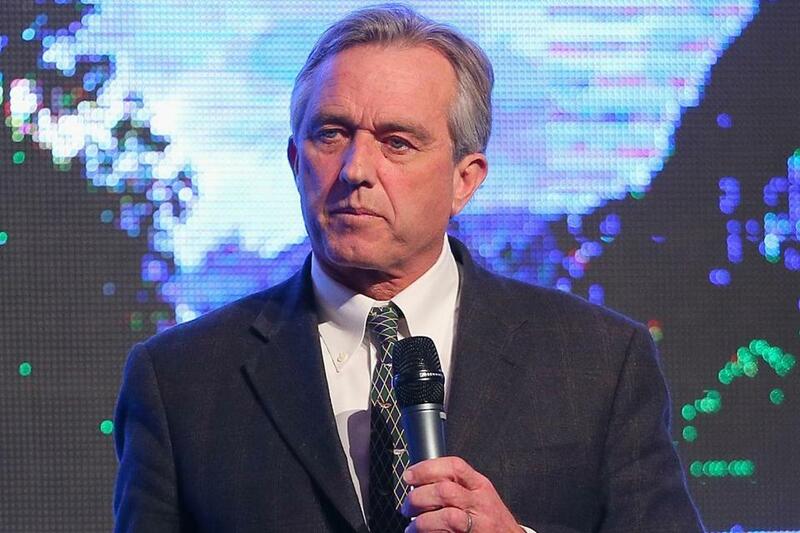 Robert F. Kennedy Jr. has joined an effort to get Harvard University to divest from fossil fuels. Actress Natalie Portman and Robert F. Kennedy Jr. Friday joined a growing number of Harvard University alumni calling for a week of sit-ins at the school to pressure the administration to divest from fossil fuels. In recent years, students, faculty, and prominent alumni from major colleges and universities across the country have called on their schools to divest from companies that produce oil, gas, and coal because the fuels have been identified as a cause of global warming. The steps taken have included trying to divert donations away from their alma maters and joining student-led protests at the campuses. A key target of the movement has been Harvard, which at $36.4 billion, has the largest endowment of any college in the world. Harvard President Drew G. Faust has said the school does not plan to divest, despite protests and petitions from students and faculty. Harvard Law alumnus Bevis Longstreth, a retired lawyer and former Securities and Exchange Commissioner who signed the letter, said the university should be leading the divestment movement. Meanwhile, alumni from Harvard and a growing number of other institutions — including Columbia, Swarthmore, and the University of California — have in recent months established special funds that aim to intercept would-be donations to the colleges and hold onto the gifts until the schools agree to divest. The Multi-School Fossil Free Divestment Fund was recently launched by alumni and students from 17 different colleges, including MIT, Stanford, the University of Pennsylvania, Dartmouth, Tufts, Boston College, Northeastern, Brandeis, Wellesley, and Williams. The fund collects tax-deductible donations “for those who would like to give to an educational institution but are hesitant because the institution invests in the environmentally, financially, and morally hazardous fossil fuel industry,” organizers said. The money will be invested and held by the fund. If a school publicly commits to divest from fossil fuels, donations earmarked for that college will be given to the school. Money earmarked for colleges that have not divested by Dec. 31, 2017, will be given to schools that have divested, organizers said. Morgan Curtis, 23, who graduated from Dartmouth last spring, said the fund has collected donations from nearly 100 individuals so far. She declined to say how much money the fund has accumulated. And she noted that national college rankings are partially based on yearly alumni giving. Rajesh Kasturirangan, a 44-year-old mathematician who earned a doctorate from MIT in cognitive science, said he made a contribution to the divestment escrow fund. “It’s a brilliant idea, because it will get people who have never given before to think about and donate to their schools,” said Kasturirangan, who said he has never donated to MIT before. Nineteen US colleges have pledged to divest from fossil fuels in some form, though most that have done so have modest endowments. Stanford University is by far the best known and wealthiest college to pledge to do so. The school, which has an endowment worth $21.4 billion, said in May that it would divest from publicly traded coal mining companies. Harvard alumnus Bill McKibben, an environmental activist who signed the alumni letter, said he plans to visit his alma mater in April to peacefully protest alongside students. “A number of us alumni were watching the students and faculty doing their best and thought we should jump in to help because Harvard is slow to act on these sorts of things,” he said by phone Thursday. Matt Rocheleau can be reached at matthew.rocheleau@ globe.com. Follow him on Twitter @mrochele.